On 23 March, the EU Fundamental Rights Agency Working Party on Improving Reporting and Recording Hate Crime hosted a capacity building workshop at the Ministry of Justice in London. 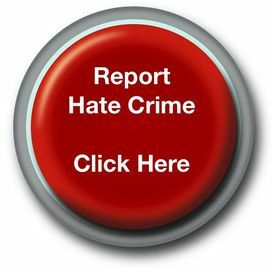 Anonymous online reporting systems are one way of encouraging victims of hate crime to report. In countries where this model is applied, reporting figures have increased and helped to reveal the extent and nature of hate crime. The objective of this workshop is learn step by step how to set-up such an anonymous online reporting mechanism, to maintain it and to create the conditions for a well-working interface among the involved institutions such as police and prosecutors. The workshop was attended by 22 participants from 13 EU Member States. The participants are representatives from the police, the Ministries of Interior, of Justice, of Public Order and Citizens’ Protection and of Employment. Civil society organisations, particularly those who cooperate with public authorities on hate crime monitoring and third party reporting will also participate. The workshop allowed participants to identify features that they can test and apply them in their own countries.